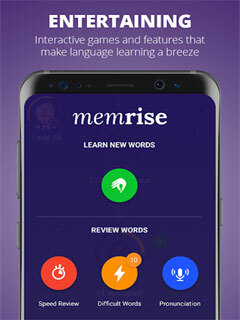 Continue learning your favorite summer vacation language with 50% off 1 year of Memrise until 09/14/2018. Bring the vacation spirit home! Learn Spanish ********, French ****, Japanese ****, Korean ****, Italian ****, Chinese ****, German ****, Russian ****, Arabic, Portuguese ********, Danish ****, Swedish ****, Polish ****, Norwegian ****, Turkish ****, Dutch ****, Icelandic ****, Mongolian **** or even learn English ********. Do you want to connect with the world* Get ready for your next trip or adventure abroad* Improve your grammar* Or are you looking for the best way to learn a language* Then join our community of over 35 million language learners and develop real-life language skills through a rich variety of easy-to-use games, innovative chatbots and over 30,000 native speaker videos. Language learning has never been so simple! 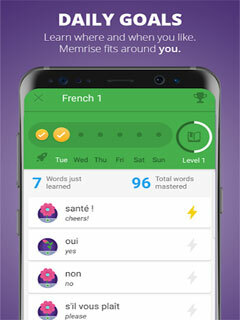 What makes Memrise the best language learning app* For our international team, nothing is more special than the ability to connect with new countries and cultures through language, and we want to share this with you! This is why our language lessons only include useful, everyday words and phrases that enable you to have real conversations with real people. 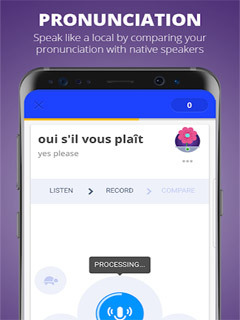 How* Our talented linguists and language experts work side-by-side with our world-class team of developers to create the very best language courses and games that are simple, enjoyable and accessible to everyone. 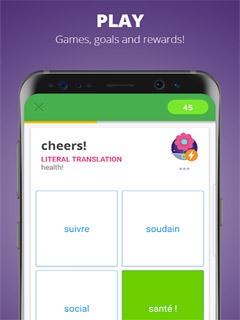 Want to find out more* Why not trial the Memrise app for free* Explore our foreign language courses and language games now on Memrise, the best app for language learners.